We tend to have very broad notions of the past. We like to generalize, break down and organize things in ways that are easy to repeat and understand, but might not always be the most accurate. Eventually those generalizations are repeated so much as to become common knowledge. Because of this, the basis of our understanding of certain eras or styles of music comes down to more of a collection of “tangible details” (as FILM CRIT HULK would call them) instead of the actual substance of the work at hand. No decade has suffered more from this kind of reduction than the 1980’s. For the last decade or so, nearly anything making heavy use of synthesizers or sequencers has been tagged as being “80’s inspired” or being a revival act. It’s an understandable urge given how pervasive those instruments where in that decade due to their novelty, but making these kind of blanket statements tends to ignore the way that these innovations in technology effected the underlying compositions being written, or the vast amount of music in the 80’s that had little to do with synth-pop. The advent of sequencers did more than just change the timbre of the music made; it also lead to a lot of songs being constructed around static rhythms and bass lines. But instead we continue to gravitate towards the obvious surface details like the gated reverb or walls of electronic sounds, and thus completely miss it when a band like HAIM draws way more from 80’s pop than the 70’s soft rock that people peg them with. It can lead us to ignore a band’s strengths in favor of their quirks. And as a result, we can praise a band like Chvrches for being driven by an 80’s aesthetic, when instead they should be getting accolades for writing some truly timeless pop music. Chvrches are what I like to call a “melody and chord” band, meaning that if you stripped away all of the surrounding elements, what makes their songs good is their ability to marry engaging melodies with equally strong chord progressions. When it comes to writing pop music, this is a priceless skill to have. There are plenty of artists that can make amazing music by exploring the nooks and crannies of specific stylistic affections, but having an underlying mastery of the essentials can allow you to write songs that will work no matter how you arrange them. While the deft and well thought out nature of The Bones Of What You Believe makes it hard to picture these songs in any other form, most of them could function just as well if they were dressed up in the tangible details of any other decade or genre. This is not to discount the excellent work that Chvrches have done in making their synth-heavy arrangements. Even when using the same basic elements for the whole record, they have no problem imbuing each song with a sonic and melodic identity. Some songs stand out due to their particular production tricks, like the “Midnight City”-style vocal sampling on opener “The Mother We Share” or the menacing bass heavy stomp of “Lies” whereas others stand out due to their unique structure. Most of the songs adhere to a fairly standard “verse-chorus” structure, which makes the few that play with that form pop out. ‘Tether” uses the basic premise of a verse-chorus structure to gradually build and then explode like some sort of 90’s trance power ballad. “Recover” isn’t as linear, but it cleverly uses two different choruses, one right after the other, to catch listeners off guard and double the song’s chance of getting stuck irremovably in their heads. And then there are songs like “Science/Visions” that forgo traditional form entirely in favor of cycling through a variety of sections to create an eerie and unsettling mood. 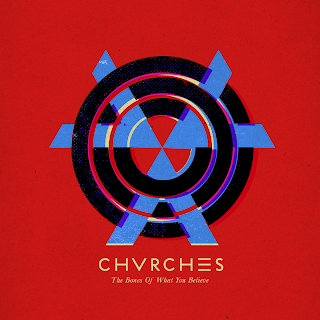 The songs that do play by the rules aren’t worse off for it either, mostly because how spot on Chvrches' ears are for great melodies and their ability to subtly tweak repeated sections without losing the core vibe or texture. The only place where The Bones Of What You Believe falters is when it shifts its focus from lead singer Lauren Mayberry in favor of Martin Doherty. Doherty is a perfectly fine singer, but the two songs that he takes lead on are easily the most plodding and overlong of the whole record. 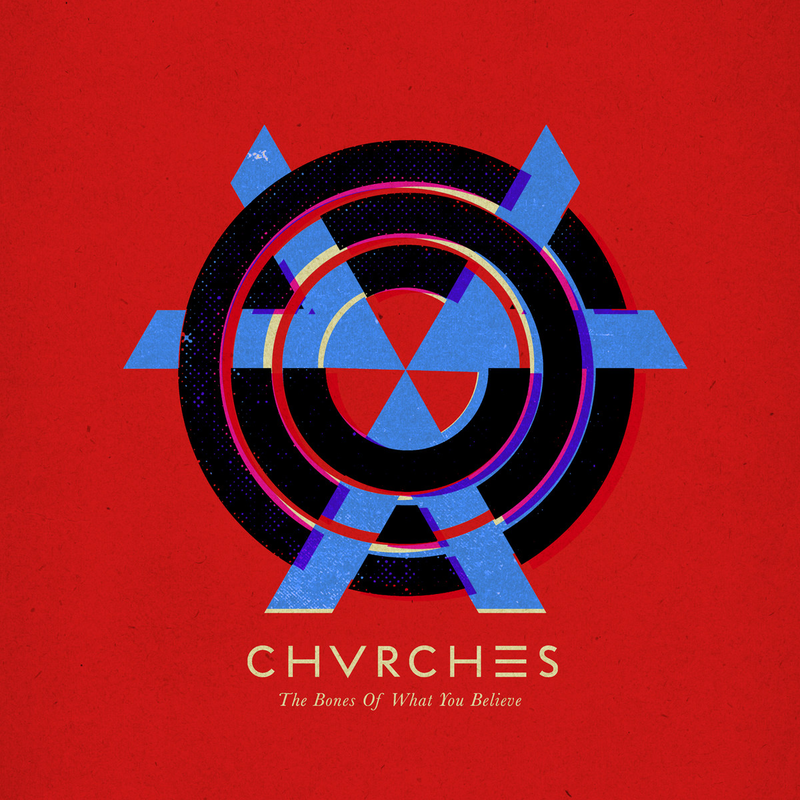 The choice to use this dual vocalist approach is very much in line with the way that Chvrches presents itself as a fully collaborative band and not just a cute girl with some dudes in the background, and this is certainly commendable, but it has yet to really work for them on a musical level. But because they have the fundamentals of their craft so finely tuned, it’s likely that this weakness could easily be finessed into a strength on later records. 2013 has been a banner year for female fronted pop. On the macro level, it has served as a platform for new album cycles by the dominant queens of the scene (your Lady Gaga’s, Katy Perry’s and what not) but on a smaller scale its seen the emergence of full length records from the likes of Sky Ferreira, Charli XCX, and Jessie Ware, as well as brand new names like HAIM and Lorde. While each of these names can fit great in a sentence next to each other, they’re all unique entities, with their own thematic concerns, aesthetics and stylistic approaches. I haven’t gotten around to listening to every big name release in this world, but out of the ones I’ve heard, The Bones Of What You Believe is easily my favorite, and like those bones, it serves as an excellent basis for what could be a strong body of work.